Do you still have a dusty old cheque book lurking around in a drawer somewhere? Maybe it’s gathering dust with that paying in book you last used in 1997. It’s easy to think that cheques are things of the past – but last year 477 million were issued in the UK. So, cheques are clearly still being used way more widely than as an occasional gift from your great aunt. It’s just been announced that banks are finally agreeing a new clearing system that should allow cheques to clear in one day instead of the current six. It comes as a surprise to people when they find out how the current clearing system actually works – and why it takes up to 6 working days to clear a cheque. When you pay your cheque in, a ludicrously complicated system starts, that involves posting (yes posting) cheques to clearing centres, scanning them, contacting the other bank, double checking everything (and looking for fraudulent cheques and drafts), confirming the money is there and so on. This is known as the ‘2-4-6 timescale’ because on day 2 you start to get interest on the money, on day 4 you can technically withdraw the cash, but only on day 6 can you be sure it won’t bounce. And it’s that last point that’s the killer. Many, many people contact me each year after selling a car or other big items through auction websites, think a cheque or draft they’ve received has cleared, then get a nasty surprise after they’ve handed over their goods and the cheque bounces. This will start from 30 October – but bear in mind that not every bank or building society will be ready until the end of 2018 – so stay vigilant. 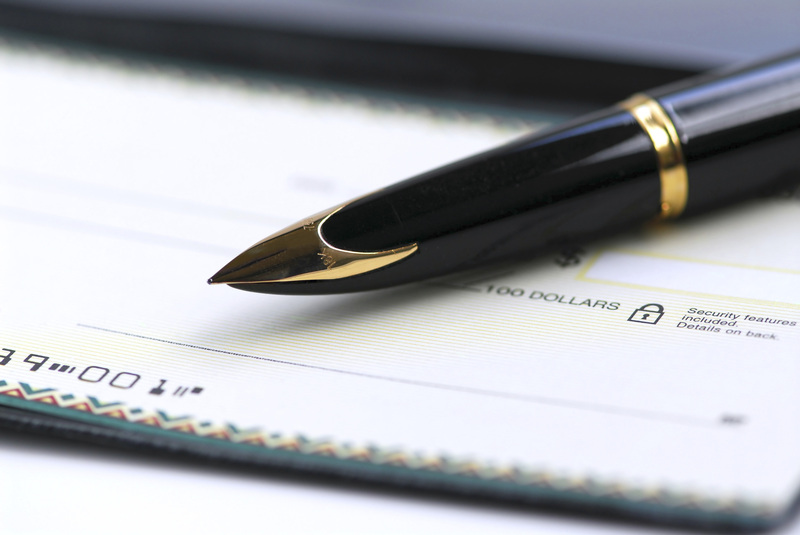 Cheques are old: The rules about cheques date back to 1882 and the basic principles have stayed more or less the same. In principle, you could write a cheque on anything, as long as you included the details mentioned in the Bills of Exchange Act. Many people swear blind that a man once wrote a cheque on a cow but I’m afraid it’s an urban myth – though plenty of people have tried to use a cow-cheque as a publicity stunt over the years. Fraud rules now mean standard cheques must be used; so your bank won’t be in the moo-d if you bring a cow in. Cheques didn’t used to have expiry dates, leading to some tricky situations where people tried to cash old ones years later. Most now come with a 6-month expiry date. You can’t ‘post-date’ cheques either. Well, you can, but most banks will ignore cheques that have a date on in the future and will just process them. Lots of people used to post-date cheques back in ‘the old days’ but it was generally the person or business who received the cheque who held on to it until the date in question. Fraudsters love cheques. By far the most widespread scams involve exploiting the clearing cycle to get sellers to release goods in exchange for stolen or forged banker’s drafts and cheques. Never release goods paid for by cheque until your bank confirms that the payment has cleared. If you want to know more about the ways you can make payments – and your rights if things go wrong – ‘cheque’ out our website www.resolver.co.uk! James Walker, fighting for your rights. You can find out more about your rights or make a complaint using Resolver for free at www.resolver.co.uk.